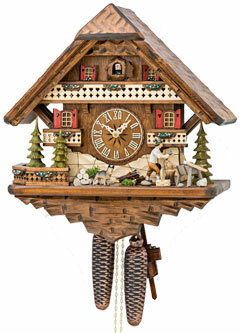 15 inch 8 day musical carved cuckoo clock with classic 5 leaves 1 bird design. 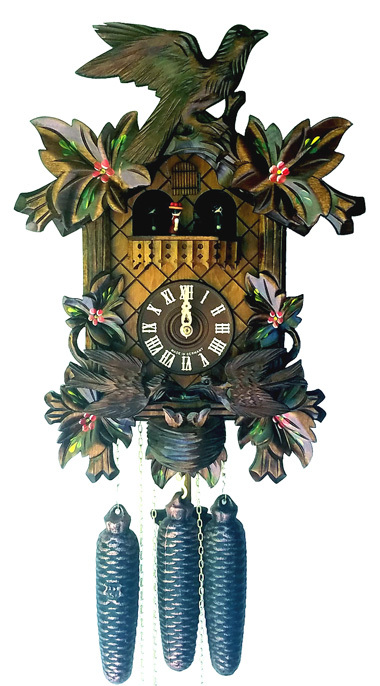 Clock features moving birds ( along with the cuckoo call) and hand painted flowers. Turning dancers on balcony. Very nice solid wood carvings. Wooden bird, wooden hands, dial and cuckoo bird.